This game contains a total of 26 trophies. These include 7 Golds, 8 Silver and 10 Bronze. You’re easily looking at 25+ hours to platinum the title, mainly due to the Ashes 5 match series and a few other shorter form tournaments. This will obviously depend on how many days each test match consists of, which will range from possibly 2 to all 5 with the latter obviously meaning an increased time range. Trophies can be obtained through both offline and online play, though most are achieved through the ashes test series (offline). I would personally complete the tutorial challenges first, due to the reasons that you may need to get used to the game, especially if you arent a regular fan of cricket, and due to the fact there is no option to change controller layout so you’ll always be forced to use one set up. 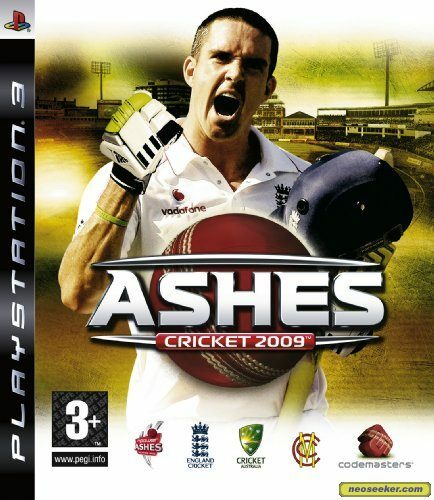 Then, i’d attack the Ashes series first as that is where the bulk of the trophies will be obtained and is easily the most fun part of the game. Then, I would just mop up everything else. This includes any trophies you missed through playing the Ashes series and the remaining tournament trophies in ODI and Twenty20 forms of the games. Probably the most lengthy of the three tutorials. The game will introduce you to various forms of batting and how to bat tactically including 6 lessons and 6 challenges to tackle. Complete all lessons and challenges and you’ll gain the trophy. Please note, Some of the challenges can be difficult, especially the ones towards the end but just be patient and follow the tips from the lessons and you should get it. As with the batting, there are 6 lessons and challenges to get through but these are much easier than the batting and take less time to get through so you shouldnt really have any issues. Very simple trophy. Only 2 lessons required to obtain it which should take you no more than a few minutes. With a bit of practise, you’ll probably hit a fair few 50’s in good time. Just remember the basics of batting and obtain this during a test match where you can be patient and pick shots. Dont worry about hitting too many boundaries, just take your time and 50 will be a piece of cake. Slightly harder than getting 50, but still very much easily achieveable if you have a good touch in batting. Try and pick your best batsman to focus on this trophy. His increased ability will make it much easier for you to hit boundaries. You’ll most likely have to try and attain this during a test match where you can be patient and take your time, just dont rush or play silly shots and you’ll eventually get to 100. Quite a difficult trophy to get legitimately. A decent tip would be to save your game after each ball you hot for 4 and if you dont suceed, just reload your save and repeat the process until you have 6 in a row. Please note, this does not have to come in 1 over, just 6 consecutive deliveries. One of the more difficult bronze trophies in the game. Follow the same tip for the “Power Hitting” trophy and this should come in good time. Again, please note, this does not have to come in 1 over, just 6 consecutive deliveries. Probably the most difficult bronze to attain, however, using the same approach as the “Power Hitting” and “Blazing Blade” trophies, this will be fairly easy. It may take longer getting wickets, but you will eventually get 3 in a row if you keep saving and reloading your game in order to get 3 in a row. Please note, it is probably best to do this to the tailend, due to their decreased batting ability in relation to the top order. Not too difficult to achieve, try and keep your best bowler on at all times, preferably down the order with the weaker batsmen and 5 wickets will just come naturally. Just watch out for stamina, though this shouldnt be an issue with better bowlers, so pick your best man for the job! In order to gain a duck, you need to dismiss a batsmen for 0 runs. The amount of deliveries is irrelavent, so long as they fail to score upon dismissal. This is best done with the tail end batsmen, just make sure you know who you’re targetting for both innings and try and take their wicket with your best bowler. Tailend batsmen tend not to be too aggressive, especially in test matches, so bowl a decent pace or choose a spinner and you will get results. Back to the old run scoring trophies and its getting tougher. Chances are you wont be able to get a nice flowing 200 unless you’re very good at the game so my best tip is to make sure you save at regular intervals. Maybe set yourself targets before you save each time and reload if you lose your wicket. EG. Save at 50 runs, 70 runs, 90 runs etc. Again, best done with your best batsman and is probably only realistically achieveable in a test match. So be patient, dont be afraid to leave balls and score slow but steady! In order to gain a golden duck, you need to dismiss a batsmen for 0 runs from his first delivery. This is tricky because you must get the same batsman out twice for 0 runs from his first ball. I personally would play this normally and you’re more likely to get a golden duck from without trying too hard. When you dismiss a batsmen for a golden duck, make note of who it was and before they face their first ball in the 2nd innings, save your game. All you need to do then is reload if you dont take their wicket first ball and eventually, you’ll manage to get them and the trophy will be yours. Faily easy silver. Pick a good team (England, Australia) and face a poor side (Bangladesh) and make sure you play in a Twenty20 match. The difference in class alone is 90% sure to give you win by bowling them out in less than 10 overs. Again, adopt the same tactic as with “Demolition with the ball”. Good side against a weak side and 50 overs should be more than enough to total 300+ runs. This can be quite tricky, even against lesser teams because you’ll need to make sure you build a good partnership between your two openers. Its easier if you achieve a lower score in order to win so you’ll need to take advantage if you manage to manufacture that situation. If you need to achieve a high target, just bat calmly and save often and if you lose a wicket, reload at the last save and continue on. You’ll need to ensure you bat first and post a high total, preferably between 500-600. This also means you need to ensure the other team follows on and you bowl them out twice before they reach your target. Pick a good side, face a bad side and this should be easy. Please note, to ensure you win by an innings, you MUST bat first, just remember that. This shouldnt be too hard, especially if you’ve been going for the high run trophies during the Ashes series. You’re looking to average 50 runs an innings, so just make sure you post a couple of 100+ run scores with 1 batsmen. As always, pick the best man for the job! This is probably best done in an ODI match. Just make sure you pick your best bowler and only take wickets with him. If you must do, throw away runs with whoever is bowling at the other end, just to ensure theres no confusion with your bowlers when taking wickets. This is probably largely down to luck because some catches are automatic and the computer AI may get stumped/run out often so the best thing i can say is just make sure you save after you take wickets with your main bowler and reload if anything goes wrong so you can carry on where you left off. Fairly easy gold trophy. You’re looking to average around 8 wickets a match which isnt too hard with your best bowler. Just make sure you favour him more than the others if you wish to get the trophy comfortably. Quite a difficult difficult trophy to achieve. A good tip is pick 11 batsmen or players with good batting skill. This should effectively mean you have batsmen coming in right down to the last wicket and their quality should be enough to get you over 600 runs if you bat well. Just be patient, save often and you should eventually get it. Set up an ODI tournament from the main menu and win! If it helps, pick weaker teams to face so you increase your chances of winning but if you want a challenge, go for the big boys. Refer to “ODI Champions” directly above. The Ashes consists of 5 test matches across a series (best of 5 wins). Select it directly from the main menu and make sure you win, good luck getting all the trophies related specifically to the ashes series aswell!